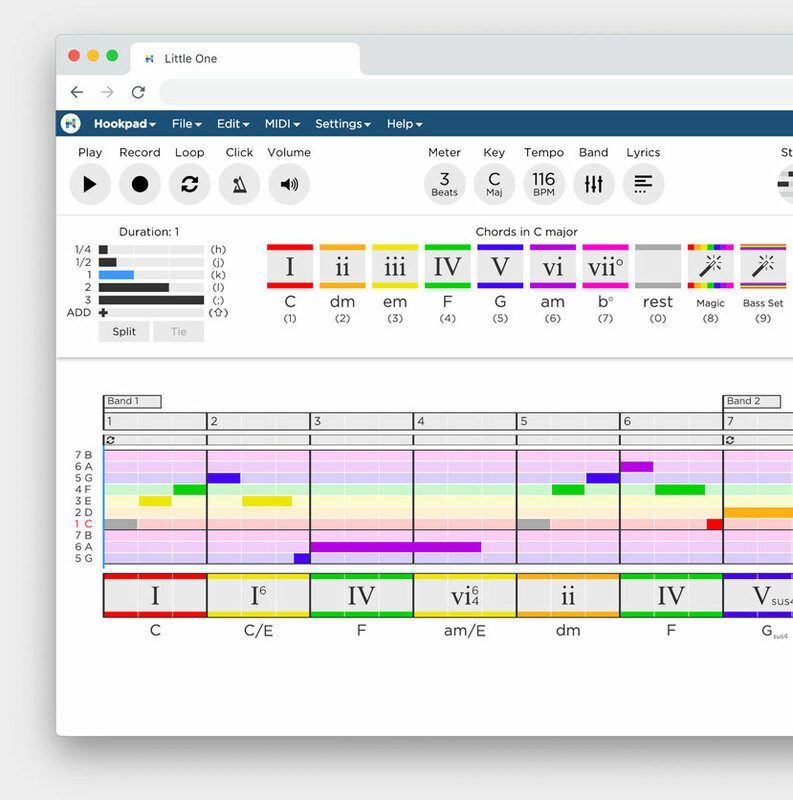 Assessment Kit is an organized way to create, assign, and grade engaging music theory and songwriting assignments based around Hooktheory’s musical sketchpad, Hookpad. The Assessment Kit exercise template is configurable so that students can compose in Hookpad, provide a written response, or both. The prompt contains written text and an optional Theory Tab. 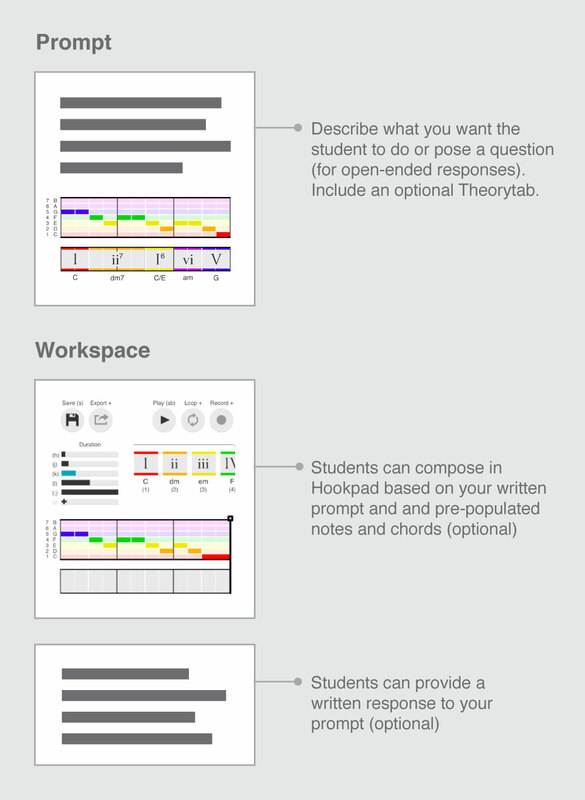 The student workspace can have Hookpad and a text field, as shown below. Students have the option of loading an existing Hookpad project into their exercise workspace. The Assessment Kit exercise template is configurable so you can have students compose in Hookpad or provide a written response, or both. 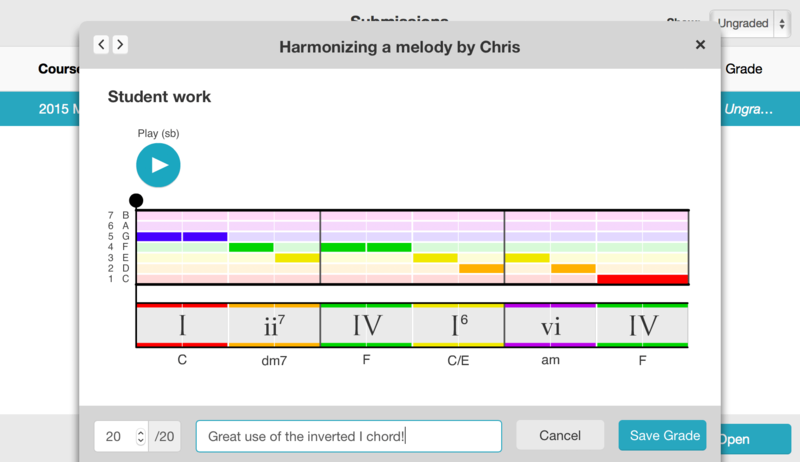 Here is an example of an exercise where students are asked to write a melody over a chord progression. 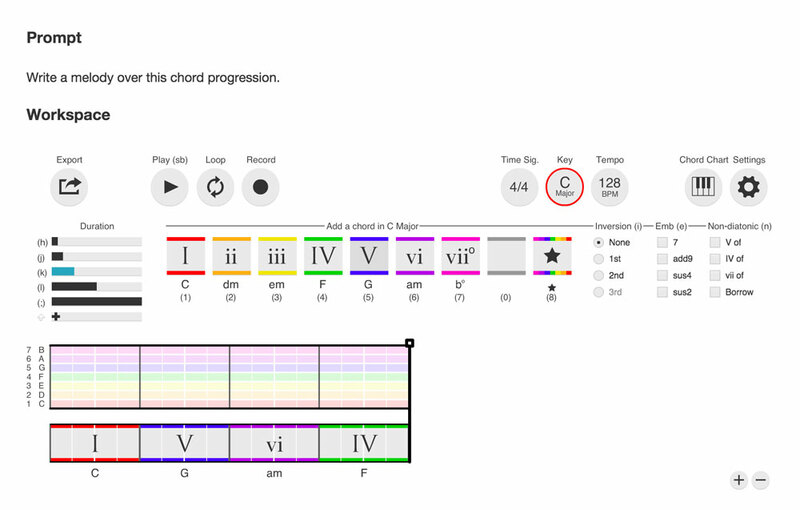 Example of an exercise where students are prompted to add a melody to the provided chord progression. To assign an exercise to a course, drag it from the exercises pane into the assigned exercises pane, as shown below. 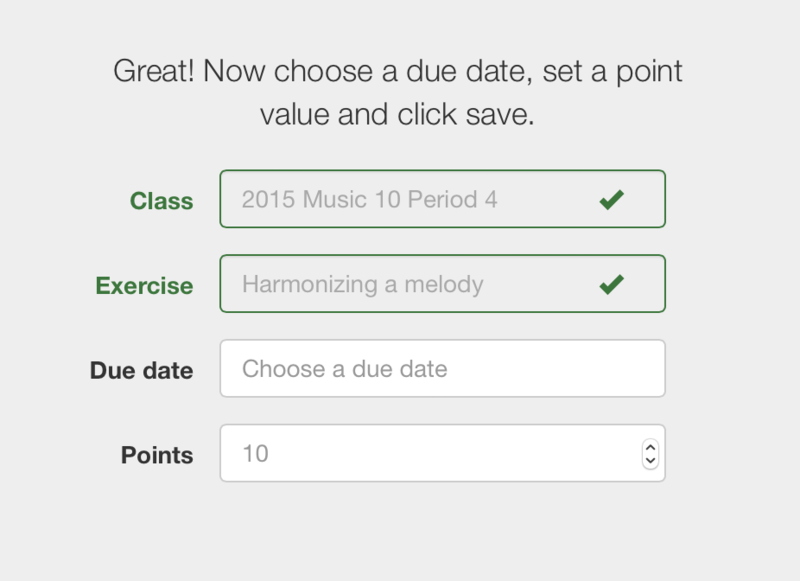 A due date and point value are added when assigning exercises. Drag an exercise from your portfolio to assign it to a course. Add a due date and point value and you're done. After assigning an exercise to a course, every student in that course sees the exercise on their “My Assignments” page. Students complete and submit their assignments on www.hooktheory.com. As students submit assignments, they show up on your “My Classwork" page. This is where you will go to assess, grade, and provide feedback on your students work. Your students see your grades and feedback on their "My Assignments" page, on the “Submitted” tab. Assess the work, leave a grade and optional text feedback. Grades for all assignments are automatically organized into a searchable digital grade book. The Assessment Kit User Guide provides detailed instructions for creating exercises, assigning exercises, completing exercises (what your students see and do), grading student work, editing grades, and viewing your gradebook. 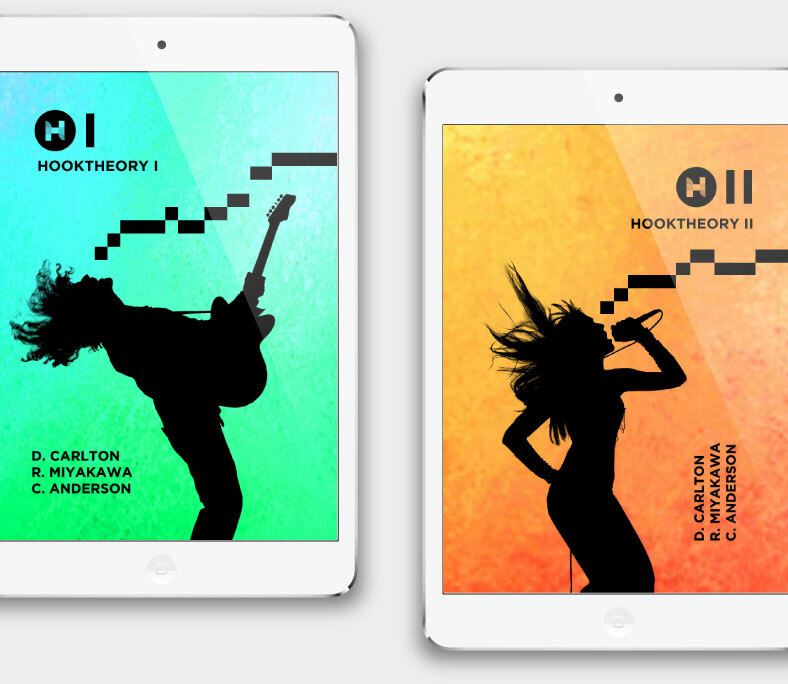 Assessment Kit is part of Hooktheory's Classroom technology suite that will help you teach music and songwriting in ways that keep students engaged, excited, and inspired.